This mid-sized party bus is perfect for bachelor or bachelorette parties, birthdays, proms or any special occasion with groups up to 30 people. 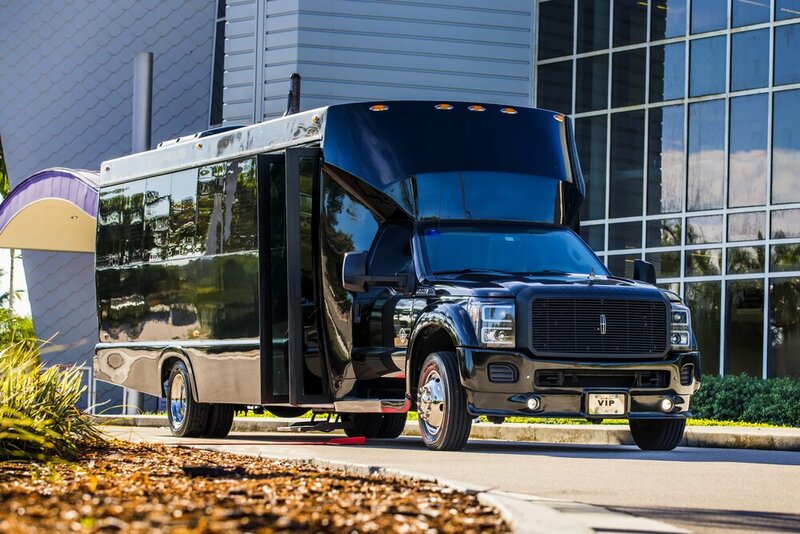 The Tiffany F550 limo bus is an ultra sleek and classy party bus. This vehicle is outfitted with flat screen televisions on every wall, the latest LED lighting effects and a high-powered Bluetooth-enabled audio system to get the party started and keep it rockin' all day or night. Our courteous, professional chauffeurs provide outstanding white glove service, helping you celebrate VIP style. And, best of all, at a reasonable price. 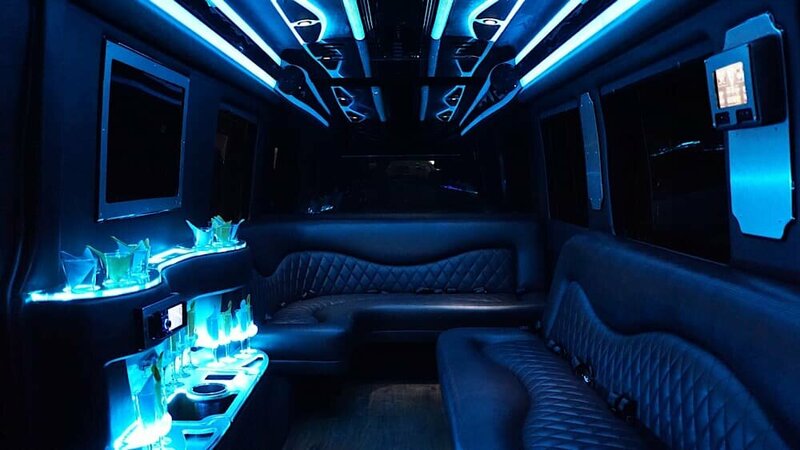 So if you're looking to have a great time while traveling in comfort and refined elegance, then call us to reserve the Tiffany F550 party bus today.